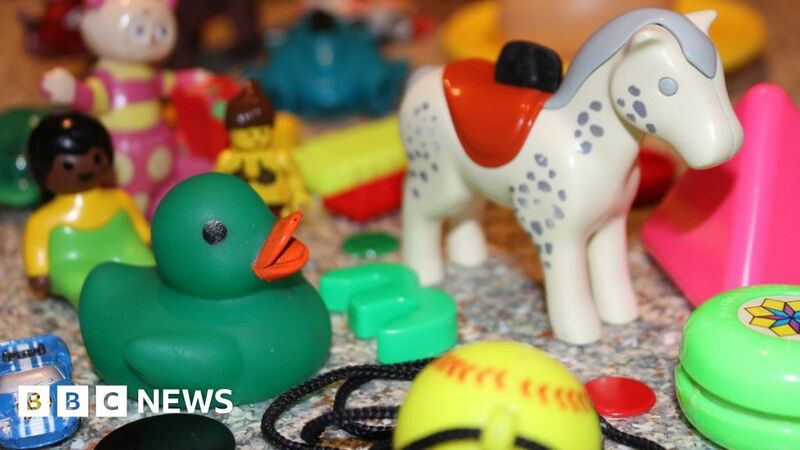 Plastic used in some second-hand toys could pose a health risk for children as they don’t meet the most up-to-date safety guidelines, a study has found. Scientists tested 200 used plastic toys they found in nurseries, thrift shops and homes across England’s south-west for nine hazardous elements. Twenty toys had traces of all nine elements, with some concentrations high enough to fail European standards. But experts said it would be difficult to quantify the risk. For the study, published in Environmental Science and Technology, Dr Turner and his team used X-ray fluorescence technology to analyse a host of toys – from cars and trains to figures and puzzles. All the toys were of the size that could be chewed by young children. They discovered high concentrations of hazardous elements including antimony, barium, bromine, cadmium, chromium, lead and selenium. These chemicals can be chronically toxic if children are exposed to them at a low level over an extended period of time. If the children put the toys in their mouths, they would be exposed to greater levels of these chemicals. Dr Turner conducted a separate analysis on 26 of these toys to see if they comply with limits set by the European Council’s Toy Safety Directive. Ten failed this test because they were secreting too much bromine, cadmium or lead. Red, yellow or black plastics were the worst offenders. But he said new regulations do not cover the recycling or resale of older toys. Dr Turner said: “Consumers should be made more aware of the potential risks associated with small, mouthable and brightly coloured old plastic toys or components. Prof Andrew Watterson, of the University of Stirling, who was not involved in the research, said: “Cadmium is a carcinogen and any uptake should be avoided if possible because of chronic effects. Mr Gardiner said that “if the toys do indeed pose a risk to children” then “the products can be removed from the market”. Dr Turner has previously made similar findings in second-hand drinking glasses and the paint used on playground equipment.